What a coincidence. In the past couple of weeks I've been praising the virtues of small multiples in my 'Introduction to Infographics and Visualization' course at UM. Rather than trying to cram tons of data into a single graph or map, spread them out over several ones to facilitate reading, I told my students. 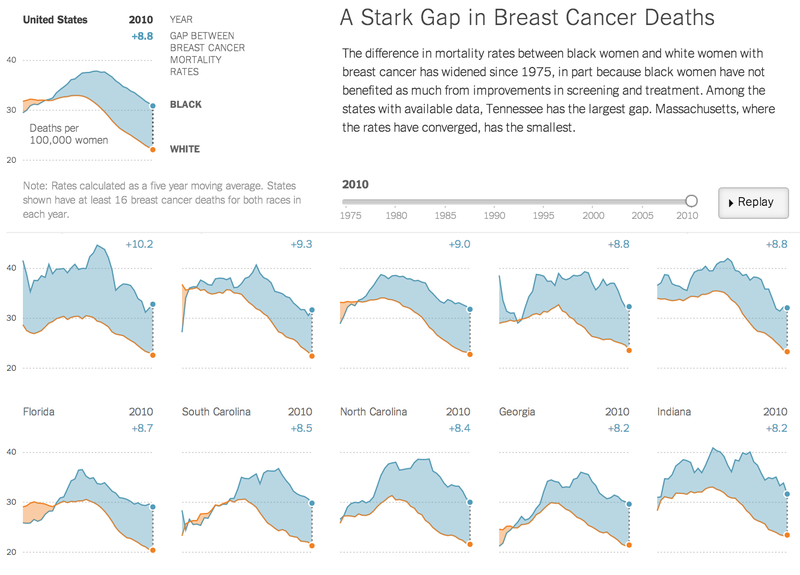 Today, thanks to Sociological Images, I discovered this interactive example made in December 2013 by NYTimes' Hannah Fairfield, Alastair Dant, and Karen Yourish. What a beauty. It also illustrates another principle that I asked my students to remember and respect: Great information graphics are always simple, but never simplistic. They must communicate with clarity, but they must never oversimplify.